Top Rated Science Tutors in Phoenix, AZ! Welcome to Phoenix’s top-rated private science in-home tutoring service! 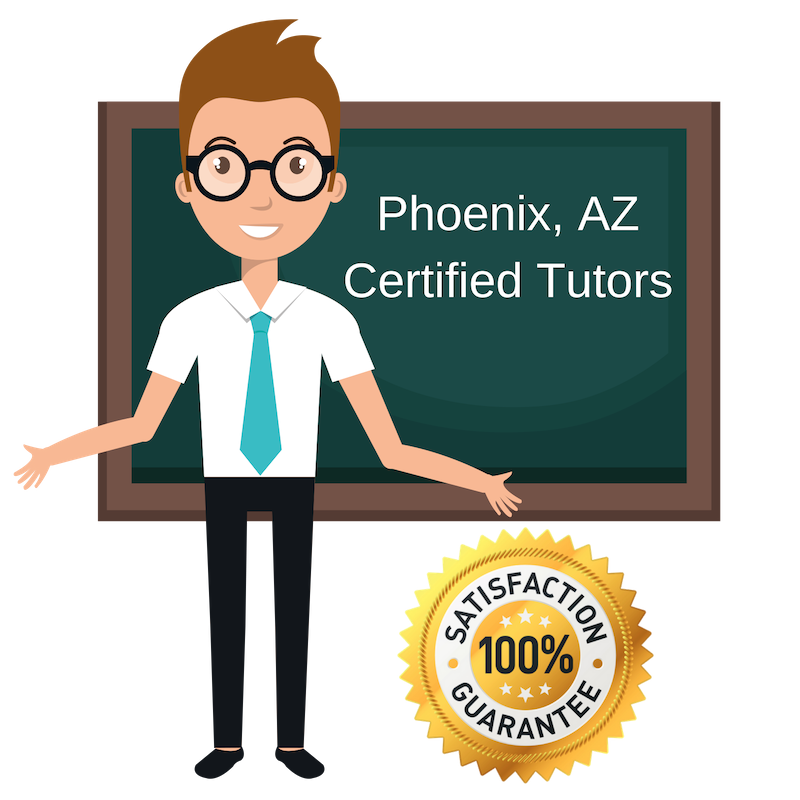 All of the following Phoenix science tutors are certified by Varsity Tutors, the leading tutoring agency in the country! All Phoenix science tutors have been background checked, been interviewed, had mock science tutoring sessions, and been trained by professionals. We guarantee you will love your local Phoenix science tutor or your money back! Get information regarding a top-rated science tutor today! I love teaching and my experience includes working with young children to adults. I have a Master’s in Elementary Education, which helped set me up for success in my career. I want to help other learns. I tutor science to students who need a little more help learning and understanding concepts. When I’m not tutoring or teaching, I like to read, watch movies, and be outside on my bike. I began tutoring while I was in college and developed a passion for helping others learn and excel academically. I have a Master’s degree in English Literature and have tutored many subjects over the years. I enjoy tutoring science and helping students better understand the theories and concepts presented that might be a bit challenging at first. I use my passion to get students excited about science and engaged in learning. Outside of teaching, my hobbies include yoga, hiking, and dancing. I have an extensive career and experience in chemistry. From teaching at several colleges (DeVry, Glendale Community College, Grand Canyon University, and more) to working in research labs and in quality assurance, I love science. This is why I tutor science to students in Phoenix. I want to share my passion for the subject and help students learn concepts and material that I find so fascinating and engaging. I focused much of my education career on science and spent a lot of time preparing for the MCAT in college, where I was pre-med. I very much enjoy working with students on science and helping them become avid learners in the subject. I tutor science to students to share my passion and understanding of the subject. I spent seven months in Peru after graduation teaching English, which has really helped my tutoring style and helped me better connect with students. I am a patient tutor and enjoy working with students in science. I expect each student to bring a certain amount of perseverance to learning and I will be there to teach as much as I can about science. I tutor science because I love the subject and I understand it in a way that makes me able to teach it to students. Integrity is very important to me and I enjoy getting to know each and every one of my students.